Amid its data breaches, failure to tackle political interference and other scandals rocking its social network platform, Facebook's CEO is set to be quizzed by an international committee consisting of 22 members from seven countries. Those that make up the committee includes Richard Allan, Vice President of policy for Europe, the Middle east and Africa (EMEA), and as well, elected members from the parliament of Argentina, Canada, Lativia, Singapore, Brazil and members of the UK Digital, Culture, Media and Sport (DCMS). "An unexpected international grand committee comprising 22 representatives from seven countries parliaments will meet in London next week to put questions to Facebook about the online fake news crisis and the social network's own string of data misuse scandals," a report from TechCrunch said. According to TechCrunch, a spokeswoman for the DCMS committee confirmed to them that Facebook declined its request for Zuckerberg to give evidence. "The Committee offered the opportunity for him (Zuckerberg) to give evidence over video link, which was also refused. Facebook has offered Richard Allan, vice president of policy solutions, which the committee has accepted," the DCMS spokeswoman said. However, "the Committee still believes that Mark Zuckerberg is the appropriate person to answer important questions about data privacy, safety, security and sharing." 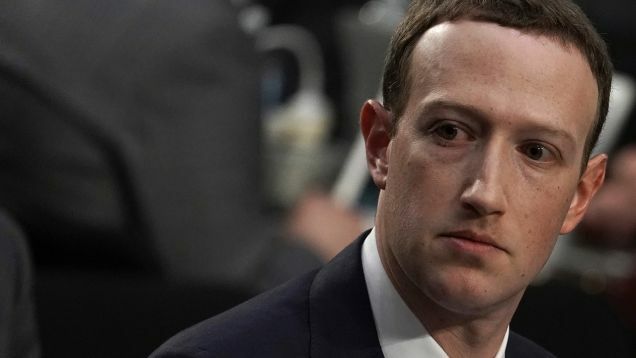 Facebook CEO Mark Zuckerberg in April this year, faced a grilling session with US lawmakers over the Cambridge Analytica data breach scandal and as well as Russia's meddling in the US election. However, the committee was formed in the wake of recent New York Times investigation which raised "further questions about how recent data breaches were allegedly dealt with within Facebook, when the senior leadership team became aware of the breaches and the spread of Russian disinformation."